At present there is no internationally-adopted legal instrument recognising the interconnectedness of all life. The proposed Universal Declaration of the Rights of Mother Earth was the first major move in this direction (this is a citizens initiative started in Bolivia in 2010). To date, over 124,000 citizens have signed the petition in support of its adoption internationally. The petition is available for signature here.The closest that the United Nations has come to adopting anything approaching Earth Law was in the World Charter for Nature, which was ratified by the member nations of the United Nations on October 28, 1982. More recently, since 2009, the UN General Assembly has adopted six resolutions on Harmony with Nature, which contain various perspectives on the construction of a new, non-anthropocentric paradigm, in which decisions concerning the environment take into account more than only human concerns. The text of these resolutions and other information relating to the UN’s deliberations on creating harmony with nature can be found at the UN’s own website, Harmony with Nature. One of the most progressive constitutions in existence to date is the most recent Constitution of the Republic of Ecuador (2008), (Spanish version, English version), which included Rights of Nature in Articles 71-74. Though arguably not Earth Law, but starting to move in a positive direction by recognising rights and duties in relation to the environment, many countries take a more anthropocentric approach in their constitutions, by recognising the right to environment of individuals, groups and communities. See Annex 2 of the International Commission of Jurists (Dutch Section) 2011 Report on Human Rights and the Environment for a list of constitutions that contain provisions on rights and duties in relation to environment. 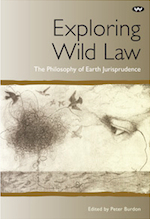 Report: Wild law: Is there any evidence of Earth Jurisprudence in existing law and practice? Green Legal Theory by Michael M’GonigleGreen thinking has been established both in theory and practice in Europe for decades, far ahead of North America. Few on the western side of the Atlantic understand that “green” is much more than just progressive public policy. It is about a new social framework. Right to the Commons by Femke WijdekopThis LL.M paper discusses the potential for the introduction of a human right to commons- and rights-based ecological governance, as proposed by Professor Burns H. Weston and David Bollier in their book Green Governance: Ecological Survival, Human Rights and the Law of the Commons. Femke Wijdekop addresses the following questions: How can we construct a right to a healthy and clean environment that is enforceable in today’s complex international legal order? What legal construct would be visionary and ambitious enough to meet the urgent need for environmental justice and protection and at the same time be enforceable in court rather than fall into the category of ‘soft law”? 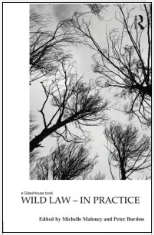 Taking Nature’s Rights Seriously: The Long Way to Biocentrism in Environmental Law by Susan Emmenegger and Axel Tschentscher, Georgetown International Environmental Law Review (Vol VI: Issue 3, Summer 1994)This paper explores the questions – Do we have an obligation to preserve and restore nature? 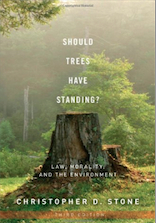 Are there moral rights of nature? Should we acknowledge legal rights of nature? The authors reach beyond the position proposed by some legal and philosophical scholars, that de lege ferenda (i.e. as a recommendable future state of the law), we should award natural entities their own rights. Instead, they argue that de lege lata, (i.e., as a matter of present law), the roots of the nature’s rights approach already exist in a number of international environmental instruments. 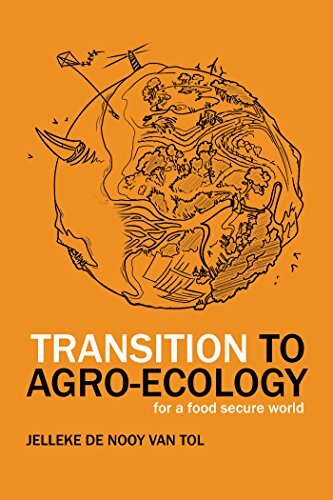 Their main thesis is that international environmental instruments show a step by step development towards acknowledging nature’s rights in a biocentric perspective. (2014, Cambridge University Press, UK). Ecological degradation has been an object of concern for the international community since the early 1970s, but legal approaches that have been employed to improve the protection of ecosystems have failed to halt this decline. 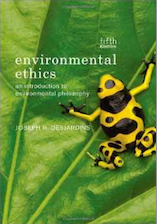 Ecological Governance explores how the law should respond to this rapid global deterioration of ecosystems by examining the foundational scientific and ethical considerations for designing laws that are effective for ecological protection. Based on these analyses, it argues that developed states should prioritise the reduction of the ecological stresses for which they are responsible in decision-making on their future courses. 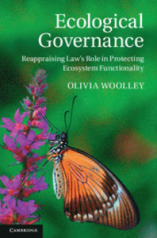 Olivia Woolley also proposes structures for governance and associated legal frameworks that would enable the formulation and implementation of policies for ecological sustainability. 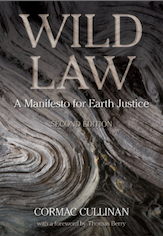 See here for an Earth Law Alliance article about the book.